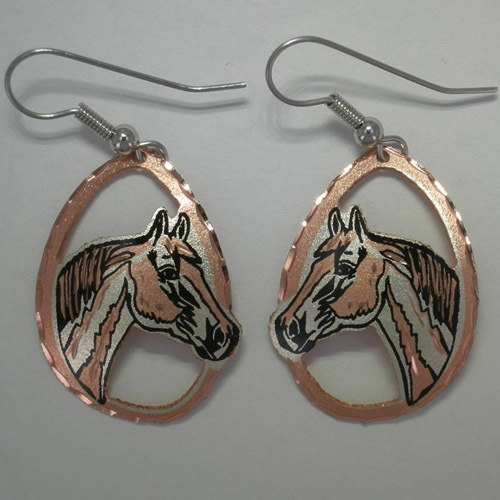 Desc: Copper cut out horse head dangle earrings. The ear wires are fashioned from surgical steel and are hypo-allergenic. The earrrings are pear shpaed and have diamond cutting around the outer edges for extra shine. Inside the pear shaped outline is a Quarter Horse head. The earrings have a matte and bright polish finish.